If you’re like me you might need to ease back into this whole eating healthy thing. 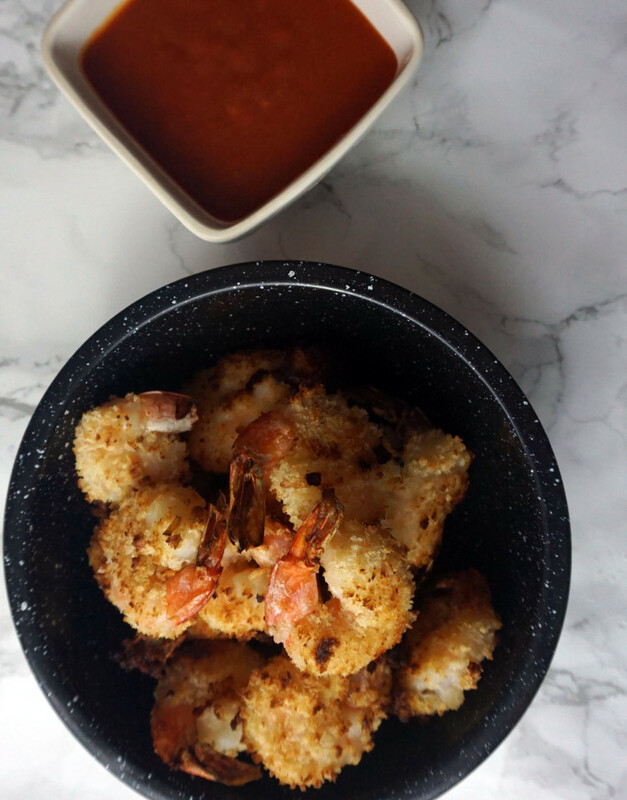 That’s what I like about this recipe – it’s sneaky healthy (okay, minus the dipping sauce – not healthy 😬). Dan’s single man friends that survive mostly on Domino’s and McDonald’s even scarfed these down! I’m not a fan of diets with a lot of rules as to what exactly you have to eat to lose 10 pounds in 10 days… or whatever. I’m sure some of them work, but they’re just not sustainable. I’m an advocate of eating healthy and enjoying what I’m eating. While I love the texture that frying food provides, I don’t love the greasiness (and calories and fat, blah, blah, blah) that comes with it. 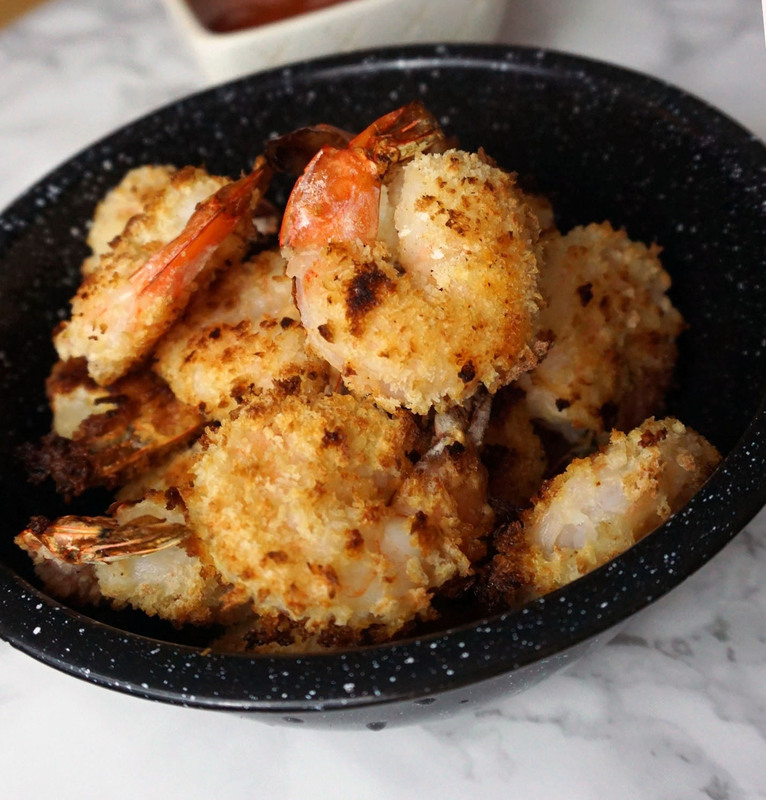 By cooking at a high temperature in the oven these shrimp turn out nice and crunchy on the outside giving it a fried texture. And while I wouldn’t call this dipping sauce healthy, it’s a great dipping sauce recipe to have on hand. It’s equal parts of the three ingredients (aka easy peasy!) and turns out sweet and spicy – and addicting. I usually serve it with bacon wrapped little smokies, which it pairs perfectly with. 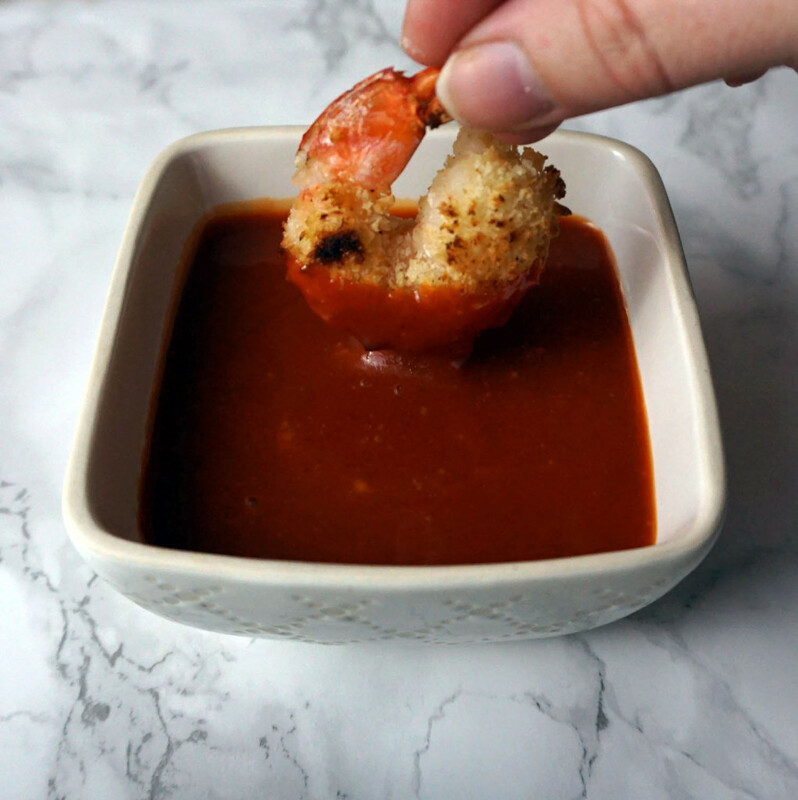 These shrimp don’t need a dipping sauce, but if you’re looking for a healthier alternative I would suggest a salsa, hot sauce, or low fat dressing. 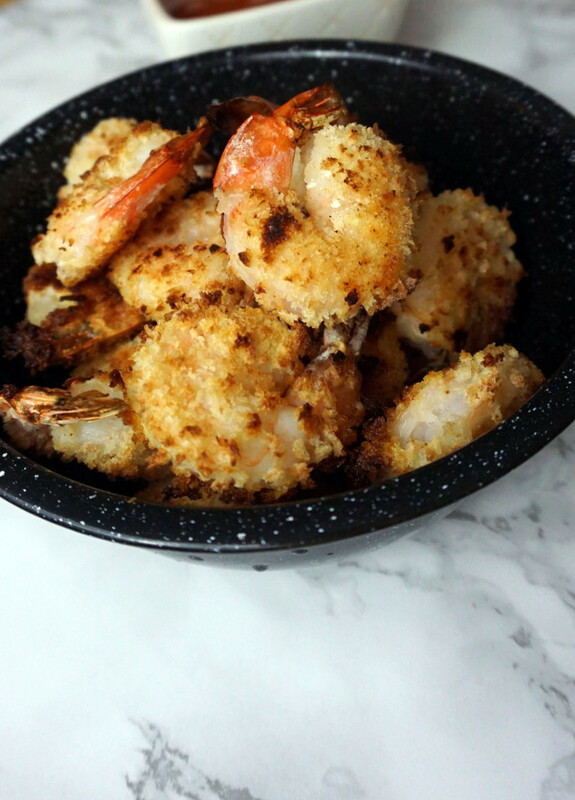 You could serve these shrimp as a healthy appetizer or have them as a main course with a salad or veggie on the side. Or you could top your salad with these babies, so many possibilities! Mix together and chill for 1 hour or until ready to serve.